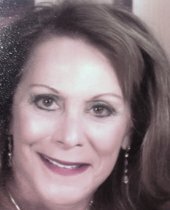 Gail Shapiro is a recognized expert Realtor in Laguna Woods. A resident for 16 years in the community, Gail is keenly aware of the procedures and nuances required to do Real Estate business in this unique community. Prior to her career in Real Estate, Gail owned and operated a very successful Travel Agency for many years where she learned how to focus on her customers’ needs and how to run a viable business. She has developed a network of local resources to be able to quickly and professionally address the concerns/needs of her clients. Gail has repeatedly been among the top producers of Real Estate transactions in Laguna Woods and is sought out by her peers with issues where they seek her guidance. Gail’s engaging personality quickly puts her clients at ease and she explains the sometimes confusing Realty process with clarity and language that her clients relate to. She is experienced and sensitive to the clientele looking to reside in Laguna Woods as well their families. Realty experience, knowledge, sensitivity and passion make Gail Shapiro your ideal choice in choosing a Realtor in Laguna Woods. My compliments to Gail Shapiro for being a real estate agent PAR EXCELLENCE! Gail rolled up her sleeves and dug into a situation that successfully brought about the sell of our property. She knows how to get things done and understands the workings of Laguna Woods much better than other competing agents. When something is "correct" Gail makes sure it gets handled and when something is "not quite right" she makes sure it gets fixed. Gail will stand by you, offer sound advice and support you through closing and beyond! When looking for an agent, look no further than Gail Shapiro- you will be very satisfied! Gail Shapiro is an amazing, professional and extremely knowledgeable realtor who I highly recommend. I feel so fortunate to have met her and had the opportunity to have her sell my Aunt Rhoda’s home in Laguna Woods. I was quite overwhelmed with the process of selling my Aunt’s home. I didn’t know the market in OC, live in San Diego and was dealing with taking care of a trust and the sale of my Aunt’s home. When I first spoke with Gail I was instantly assured by her knowledge and expertise with the Laguna Woods area. She also put me at ease with her warm personality and willingness to help guide and support me through the whole selling process. She put me in touch with wonderful professionals like a handyman, estate sale owner and locksmith who did an amazing job in helping to take care of my Aunt’s home. I felt like we had an amazing team every step of the way all because of the support and resources Gail offered. Gail went above and beyond and even picked me up at the train station several times so I could avoid the drive back and forth to OC. My Aunt’s house sold immediately with a wonderful offer, I was so impressed how smooth everything went! I am forever grateful for Gail and am so glad I had the confidence in her to do what she does best…………sell homes! I was referred to Gail Shapiro in the summer of 2015. I was relocating from the Los Angeles area to South Orange County. Gail helped me buy my first home. She walked me through the entire process and even when there were "surprises" that came up during the process she worked with all the parties on my behalf. I now have a beautiful home, which I love in a dream location. If you need a realtor who will work with and for you, call Gail. So far four of my friends have done just that. I met Gail when she brought a potential tenant to my father’s home. I liked her energy, enthusiasm, and knowledge of the community. When it came time to sell the home, I hired her to do it. She was efficient and competent in the entire transaction. She knows her way around the community and all the rules involved in closing a sale. She works with an excellent team and maintains vigilance throughout the entire process. When I decided to move to Laguna Woods, she found the perfect home for me. Again, a great experience working with her. She takes the stress out of the buying and selling process. I highly recommend this professional to help anyone buy or sell a home. I am writing in reference to Gail Shapiro of Laguna Premier Realty. My wife and I moved to Laguna Woods recently from Arizona, and were fortunate to have been recommended to Gail for assistance. We could not be more pleased with the services we received. Gail worked tirelessly and patiently to find us a home that suited our needs. Her knowledge of the community and its administration eased the way for the transition we have made. With her personality and warmth, Gail has made what could have been a stressful project into a positive experience. We could not be more delighted with our new home. It is a pleasure to recommend Gail Shapiro as she can be trusted implicitly to do a great job for you.